Text by Guido Beltramini, Giulio Manieri Elia, Davide Gasparotto. The fascinating story of the greatest publisher of all time. The catalog of the Aldo Manutiu exhibition, 500 years after his death, is a tribute to the most famous printer in the history of publishing. It tells how the book changed the world and how and why this change happened in Venice, cosmopolitan city and gateway between East and West. 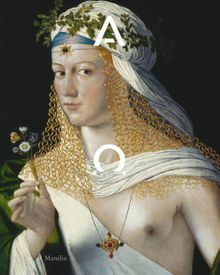 But it is mainly a journey through the world of culture and the arts in Venice between the end of the fifteenth century and the start of the sixteenth, in a crucial period featuring major figures like the painters Bellini, Carpaccio, and the young Giorgione (with the debut of his pupil Titian), illustrious visiting foreign artists like Albrecht Durer, and intellectuals of European fame such as Erasmus of Rotterdam. Paperback, 9.9 x 7.9 in. / 376 pgs / 130 color / 25 bw.